This Italian-inspired spin on the trendy cocktail is sweet and tart. 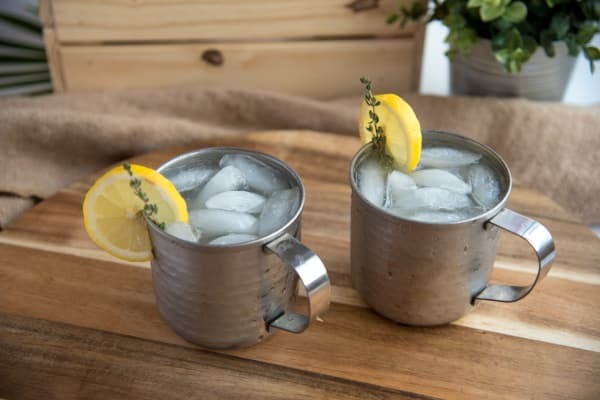 Limoncello, when combined with vodka and ginger beer, makes the classic mule more bright and refreshing. Start by filling a copper mule mug with crushed ice. Then add ginger beer, lime juice, vodka, and limoncello. Garnish the rim with a slice of fresh lemon and toss a fresh lime sprig into the mug. All of the sudden, date night just got a lot more interesting... Cheers to that! In Italy, Limoncello is traditionally served chilled as an after-dinner shot. If you ever visit Sorrento it is must-buy souvenir! It is made by soaking lemon peels with vodka. After several days, the vodka is strained and a simple syrup is stirring into the lemon-infused vodka... and that is it! Limoncello is super simple to make, but you can also buy it from a liquor store. Per Serving: 266 calories; 0g fat; 41.6g carbohydrates; 1g protein; 0mg cholesterol; 13mg sodium. YUM! I finally found something to do with the bottle on Limoncello in my pantry! This recipe was delicious, easy and really simple to make. This is a new favorite for our family. 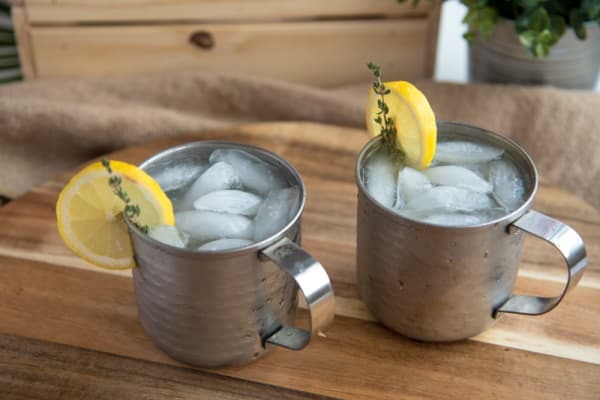 My wife and I love to drink Moscow mules, and we love this limoncello version. It was very refreshing. I think this has officially replaced my love of lemon drop martinis. Super delicious cocktail recipe! Tastes just like traditional Limoncello. If you like lemons, or lemon drops, you will love this recipe.